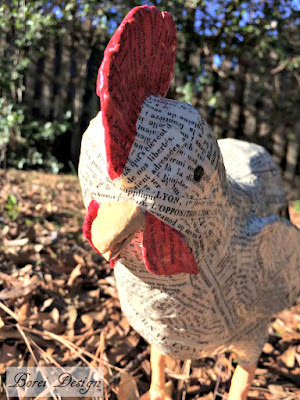 DIY Step by step craft project tutorial how to make an upcycled paper mache chicken or rooster with a French farmhouse flair. Unfortunately this will be my last (by me) project tutorial for you guys for a little while. My family and I are about to move across state due to my husband's jobs. We will be staying with family in the area until we are able to find a new home. I'm assuming that may take a while and will unfortunately put a damper on projects for a while. Don't you hate when life gets in the way of crafting? Ugh. The good news with a new pad there's ALWAYS lots of new diy decor projects that need to be done so I should have plenty of new subject material for you guys! 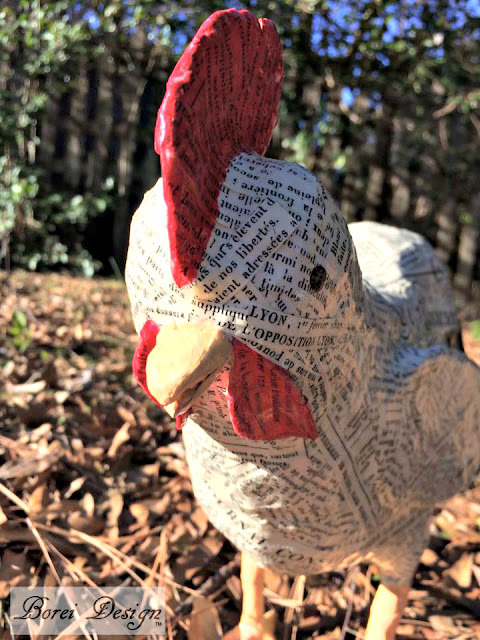 Today I'm going to show you what will be my last project from our current home but first I would like to say a big thank you to Activa Craft Products for the ongoing sponsorship that helps to make all my crazy paper mache ideas and shenanigans possible. 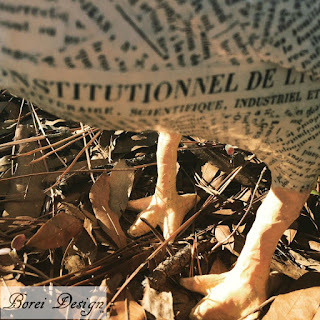 Now here is how the "Mr. Rooster" or "Monsieur Coq" idea materialized. 1. 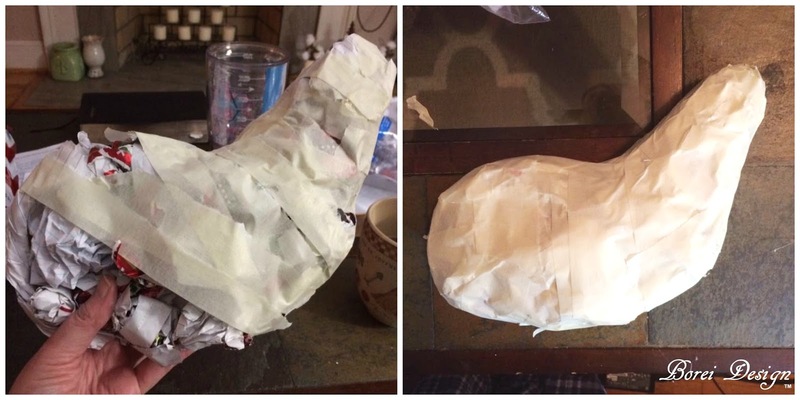 I sketched out a very basic shape of a chicken's body on the back of a piece of scrap wrapping paper and cut it out. I then traced it on the side of an old cardboard box and cut it out. 2. I padded both sides of the cardboard cutout with wadded up scrap paper to fill the body. 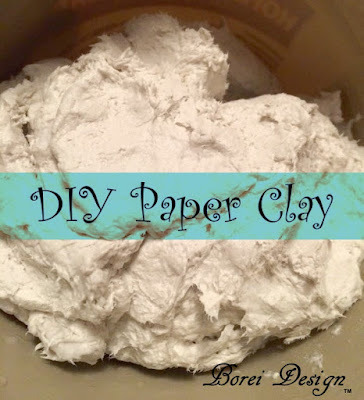 You can use pretty much any type of paper...old wrapping paper, used notebook paper, bills...after all they should be useful for something right? 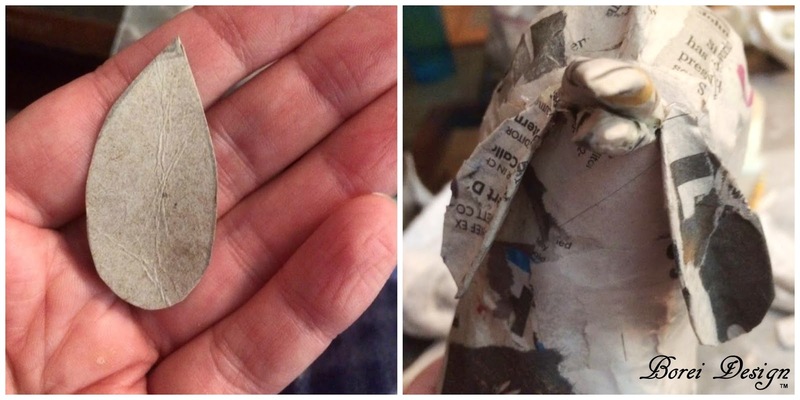 Note: I used a few drips of hot glue here and there to help keep the paper somewhat in place. 3. I then wrapped him up all over in paper masking tape. 4. 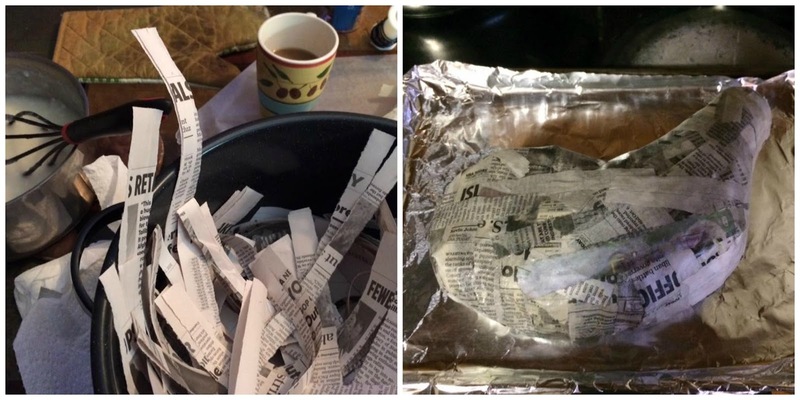 I whipped up a batch of paper mache paste and ripped up some newspaper in strips. I then added a couple of layers of paper mache (paste-dipped) strips all over the body. I dried it in the oven at 200 degrees Fahrenheit in between layers. 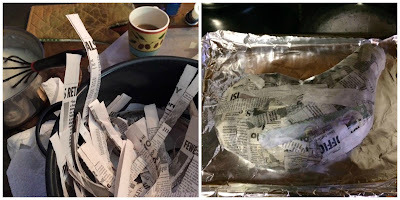 Drying in the oven helps speed up the drying time of paper mache paste. Just make sure you don't "overcook" your project and check it every 15-20 minutes. You can also use a hair dryer to help speed drying time. Just make sure your project is completely dry before each new step. 5. I cut out two "wings" from cardboard, covered them in strips and attached covered with paper mache strips. 6. I cut a piece from an old wire hanger for the legs. I bent into an "m" like shape and bent each end forward to create the center toe. I then made the toes out pieces of cut popsicle sticks and taped them to the bottom of the bent wire. I then attached the legs to the belly with more paste dipped strips. 7. 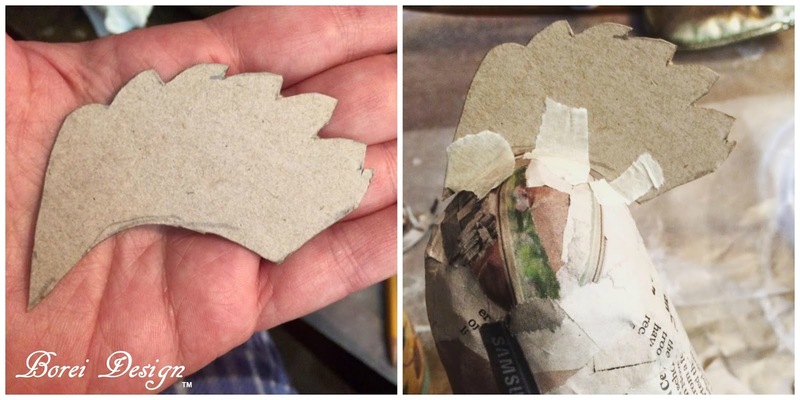 I created his comb (the little fluffy thing on top of the head) using another piece of cardboard. I attached and coated it in more paper mache strips. 8. I created the beak using more cardboard, paper and masking tape. 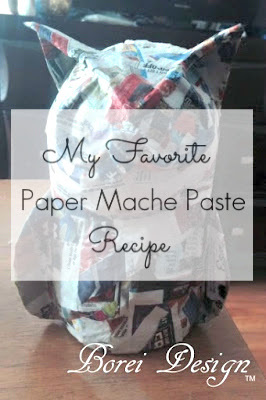 I attached it with more paper mache strips. 9. 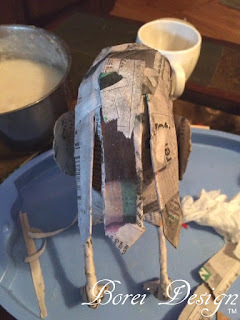 I also made the wattles from more cardboard and paper mache strips. I had to use the Roy's Farm website to figure out what these were called. It has a great diagram listing all the body parts of a rooster or chicken that really makes an awesome reference. 10. I attached and covered rows of cardboard strips to the back to make the tail feathers. Note: this pic only shows one row of feathers but I added about three. Out of all the pics I took of this project, I somehow missed taking one showing the multiple rolls during the process. The multiple rows are reflected in the result pictures. 11. For extra durability, I then covered the entire project in Activa Celluclay and allowed it to air dry. I sat him in the window and he dried in completely in about two days. 12. Once he was dry I added a coat of paint to the entire body and honestly I thought of stopping right there because the finish was fabulous! 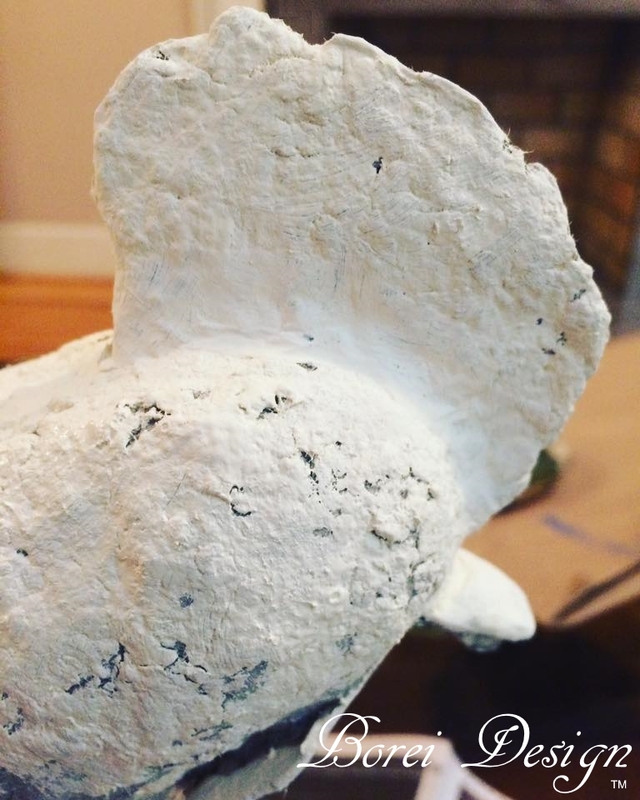 Most people completely smooth out CelluClay which does make for a really nice project but I really like leaving a rustic, bumpy finish. I went ahead with my original plan just to see the idea played out. 13. 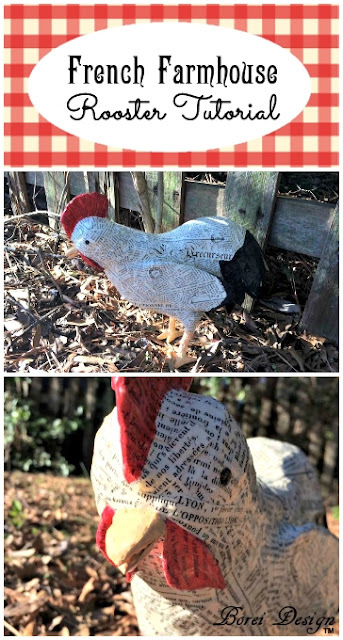 Next I printed up copies of an old French newspaper, cut it into strips. I then decoupaged (using Mod Podge) the strips on top, covering the entire surface. Once again I was tempted to add a topcoat of Mod Podge and stop right there but wanted to test how my original plan would work out. 14. 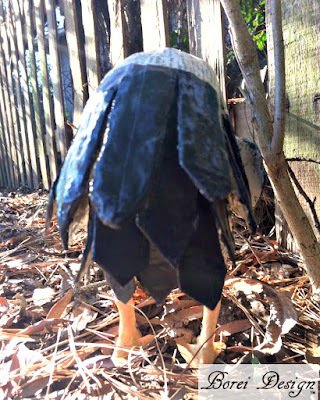 I painted the comb, beak, wattle, tail feathers, eyes, wing tips, legs and feet using acrylic craft paint. 15. I sealed him with a couple of topcoats of Mod Podge and he was all done! I hope you enjoyed this tutorial and if you make your own, be sure to send me a pic through my contact form. It would make my day! I really enjoyed watching this come together! Thanks for sharing it with us! 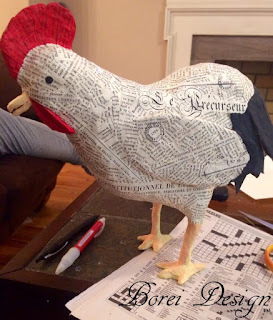 I really enjoyed watching how you created this chicken. 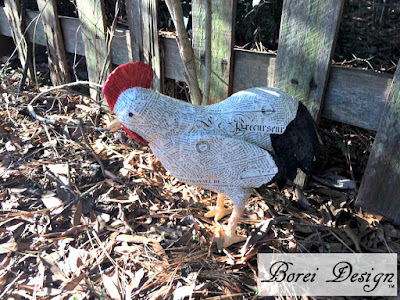 My boyfriend has chickens and I am going to make this for him to place by the chicken coop. Oh my goodness! This is just TOO cute! We live on a farm so this would look awesome here! 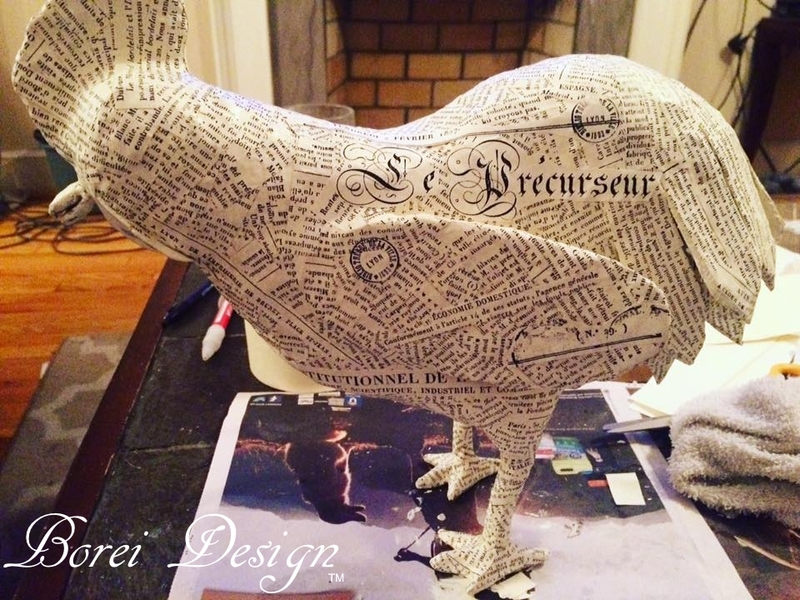 I love that you used a French newspaper printed out for the exterior, it gives it a unique look that I adore! Awwww you are so talented. 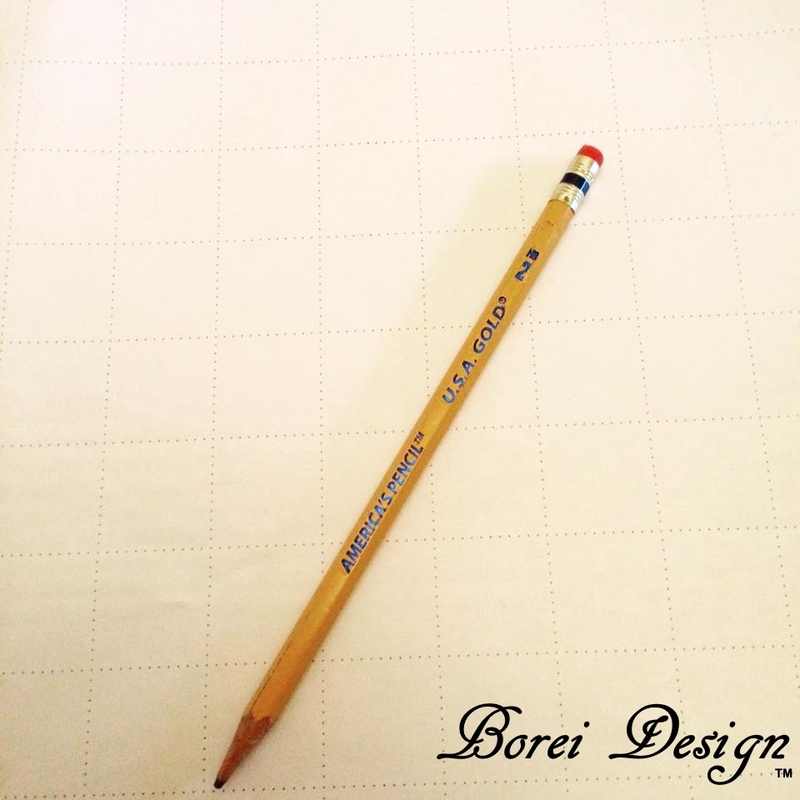 You are so creative! 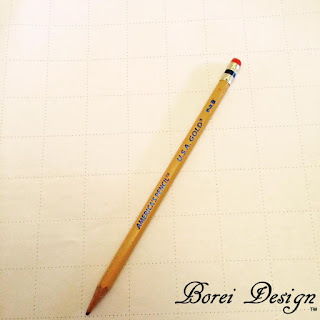 Love this idea, and the result is very good! This was a cute and very creative idea. Good luck with the move, i moved last year, it is very stressful. It's an awesome craft idea! Especially if you have kids at home. It's a great way to use recycled materials as well. Definitely! 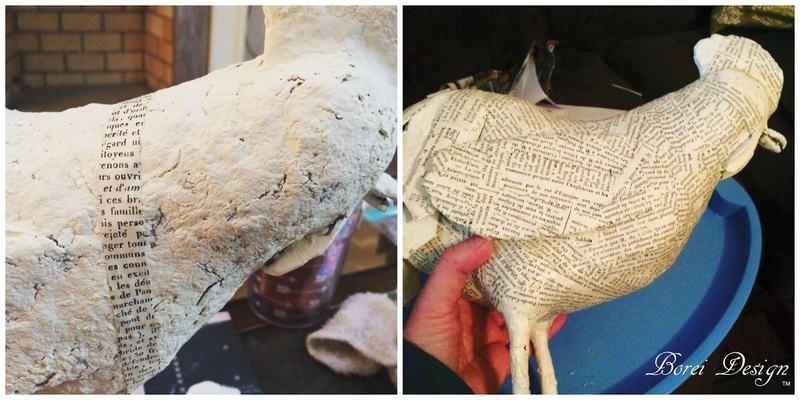 Doing paper mache as a kid with my Mom is how I got started doing it. Aw that is brilliant. I love it. Thanks for showing each step. It is easier than I first thought. I'm so glad you enjoyed it, Sandra and thanks so much for stopping by. Just beautiful. You really did so awesome on this. Too cute! Thx for sharing! You are so welcome! Hope you have lots of fun!